While the first dinosaur art dolls that I ever sold were my baby raptors, the first dinosaur plush that I ever actually made was a baby Tyrannosaurus Rex named “Chubby T. Rex”, who’s been guarding our kitchen for years now. 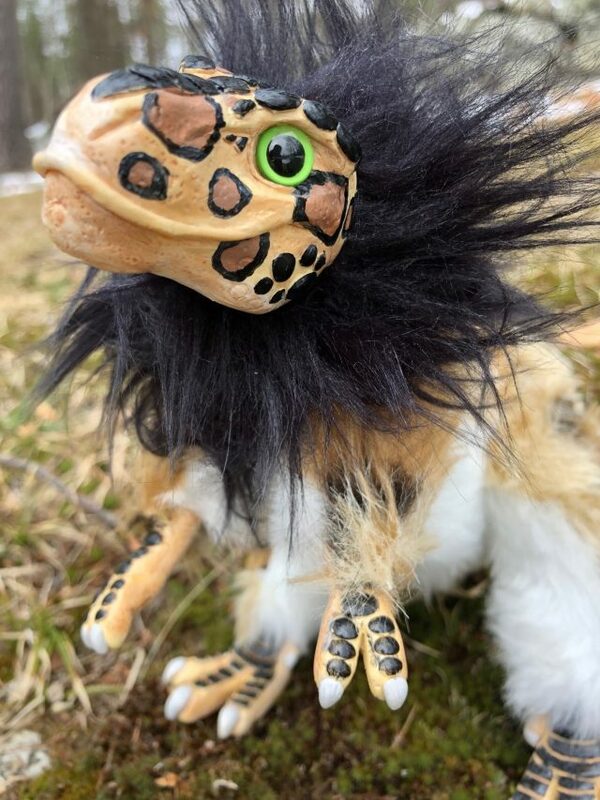 Friends and family have been asking for ages why I haven’t made any poseable Baby T-Rex plushies to share with the world, and this winter I finally decided to refine the pattern and bring a new generation of little Tyrant Kings to life! 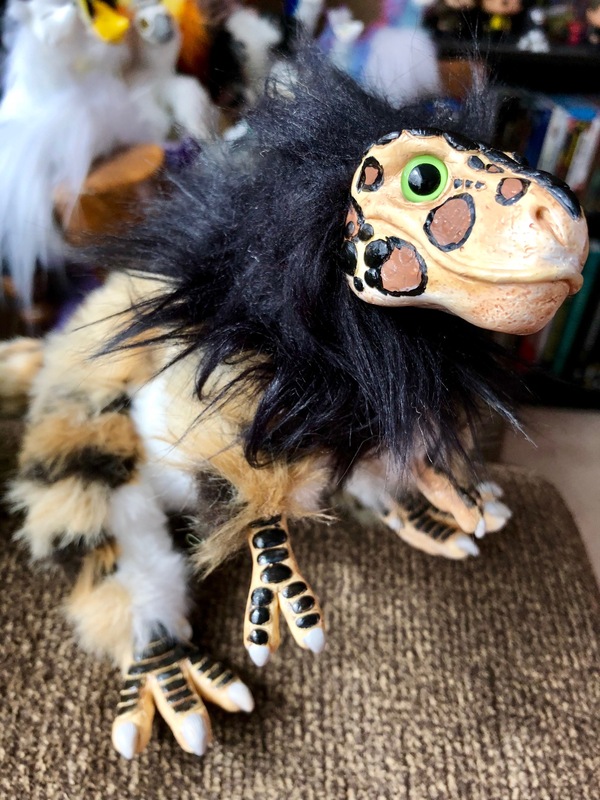 Because their very name means “King of the Tyrant Lizards”, I decided to give some of the babies a lion-like mane. I’m curious to see at the convention if con-goers prefer their Baby T-Rexes with manes or without! 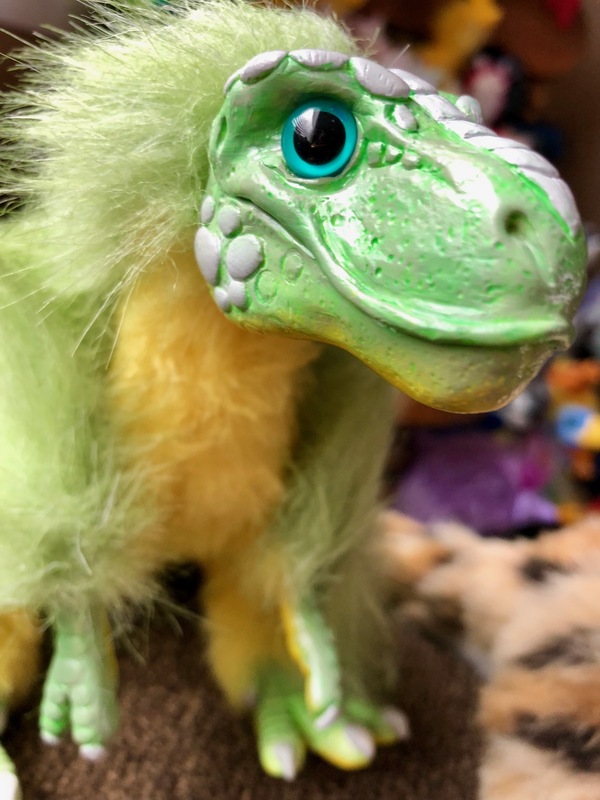 Each Baby T-Rex plush stands about 9″ tall and 14″ long, and will have the usual sturdy articulated skeleton built in so that it can be posed however you like, with articulation at the head, arms, legs and tail. 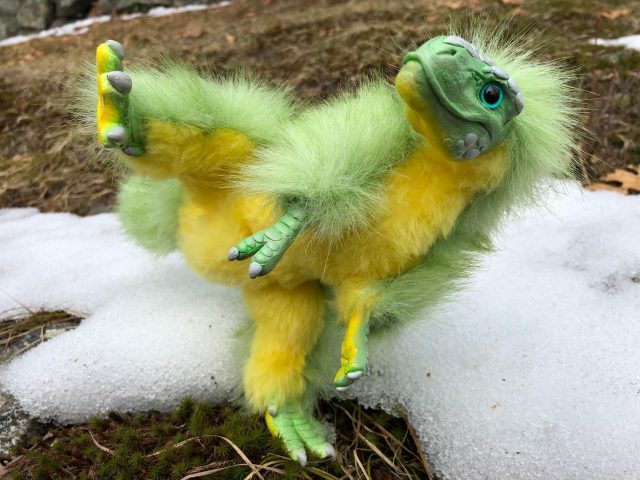 I’ll only have a handful of Baby T-Rex poseable art dolls with me at the Anime Boston Artist Alley, so please aim to come and meet them early if you want to bring one home with you from the show! 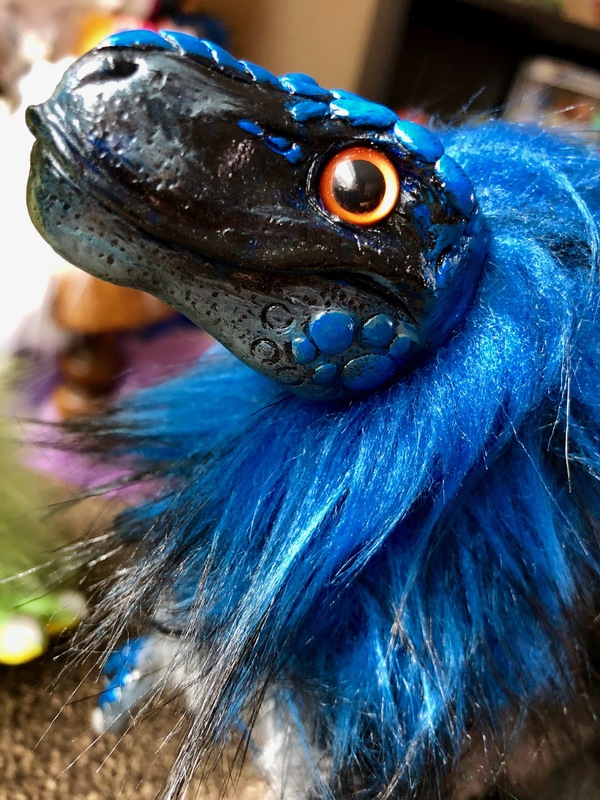 I also have some custom color commission slots open for April after Anime Boston ends, so be sure to send me a message to inquire if you’d like a customized Baby T-Rex of your very own!